A hand crafted, battery-operated, cherry wood mantle clock, featuring the elegant sound of Westminster chimes. This clock, measuring approximately 14x11, was created in a limited edition of 199 authorized examples. This is example #30/199. 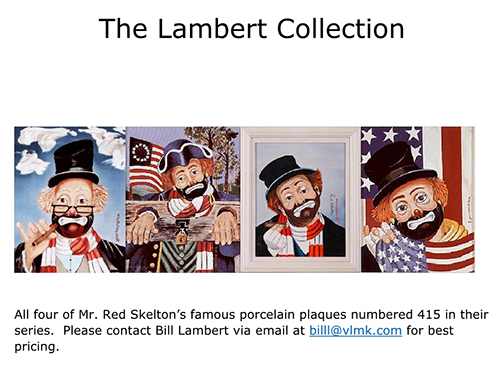 The face of the clock reproduces an original Red Skelton painting and bears an engraved plaque with Mr. Skeltons authorized signature and individual #30/199. 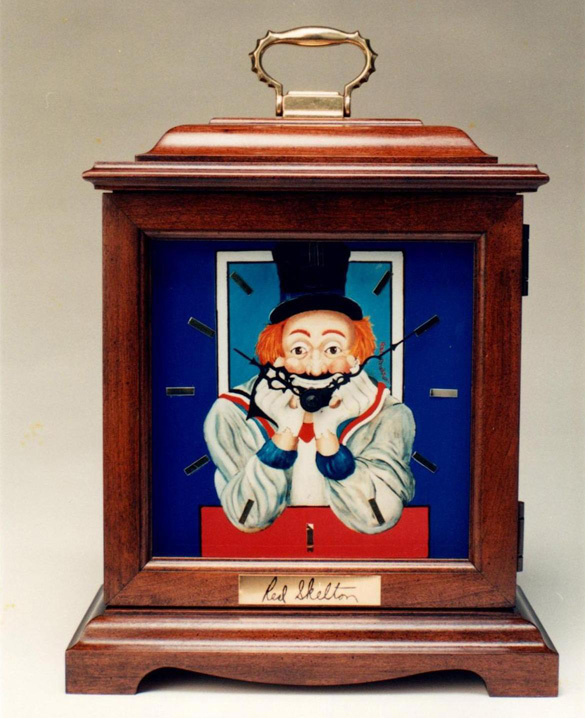 The work of art was made in conjunction with the internationally acclaimed clock-maker Howard Miller.